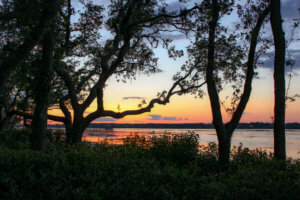 Disney’s Hilton Head Island Resort is charming, beautiful, and filled with all the magic of a Disney resort. This resort is one of two Disney Vacation Club Resorts that are not actually located at the Disney parks (with the other one being Disney’s Vero Beach Resort). 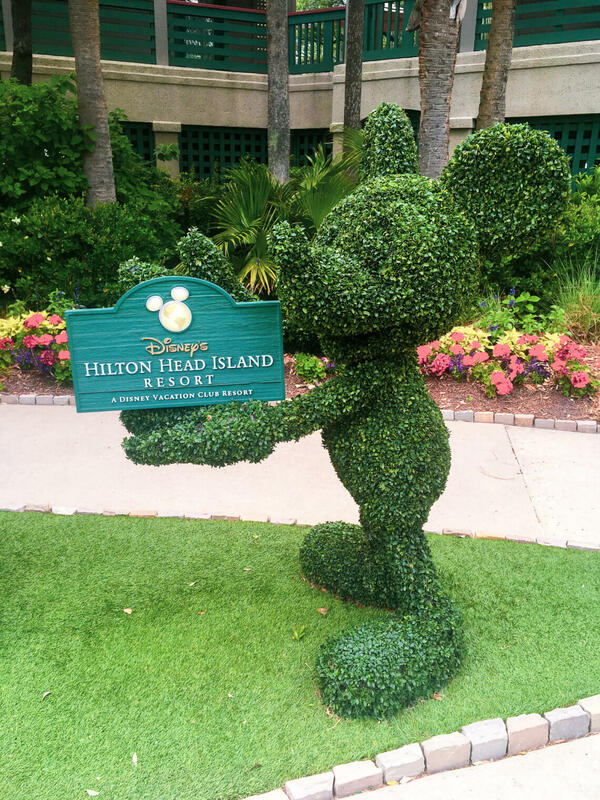 While it is an official Disney Vacation Club Resort, anyone can stay on this property! 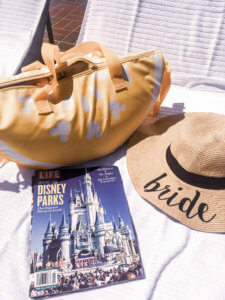 I am not a DVC member, and my friends and I were able to book a stay here for a weekend in May. My friend called ahead to see when rooms would be available and whether we would be able to stay there as non-DVC members. While this resort is often booked months in advance (especially during the summer), we were able to book a weekend in May just a couple months out. My best advice is to call every week (if not every day) to see if you can book a reservation, and utilize the cast member’s help! 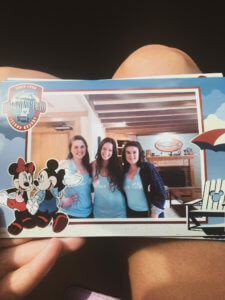 Even as non-DVC members, the cast members will provide you the excellent service that is expected at any Disney resort. 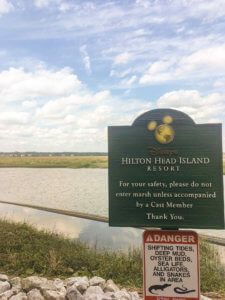 Disney’s Hilton Head Island Resort is a much smaller companion to its sister resorts in Orlando, with a relaxing atmosphere, a stunning view of the marshes, and access to beach at the beach house! This resort has a much different feel compared to the Disney resorts in Orlando. 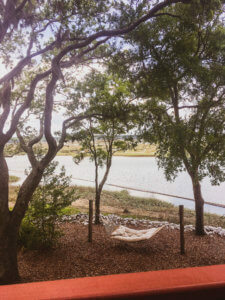 It is very calm and quiet, and it is a perfect place to unwind and relax! This resorts reminds me a lot of Disney’s Wilderness Lodge or the Treehouse Villas at Disney’s Saratoga Springs Resort. When arriving to the resort, you are greeted by Cast Members outside and welcomed in with cookies and lemonade (and free coffee in the mornings). This is a Disney resort just like any other so if you are celebrating anything or this is your first time to this resort make sure to ask for a button! When entering the main lodge (Main Oak Lodge) take the hallway to your left and make sure to take a free picture at the photo booth. This was such a simple, magical touch to our welcoming. Old southern style and design greets you at this property. Subtle Disney touches can be found all around the property, but they are not as present as you would see at an Orlando Disney resort. The main resort backs up to a beautiful marsh, which we were able to get a view of from our room. There is a pool located at the main property that also features a water slide! By the pool on the first floor, you can rent bikes, water crafts, or fishing equipment from the recreation cast members. On the second floor you can find an actual Disney store where you can find merchandise specific to this resort and merchandise sold just at the Disney parks! There is an events board that will show you all the happenings and things you can do that day around the resort. 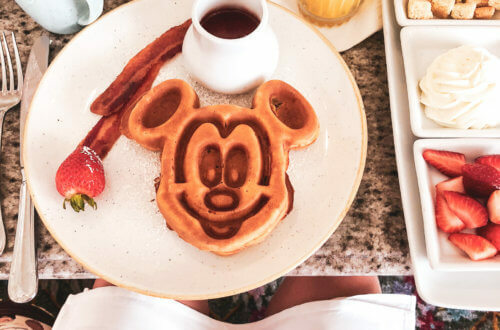 There is also a quick service dining location here that will serve you the classic Mickey waffles in the morning (probably my favorite part of the whole stay) and also serves lunch during the days. We absolutely loved all of our food, the prices were reasonable, and the service was very quick! 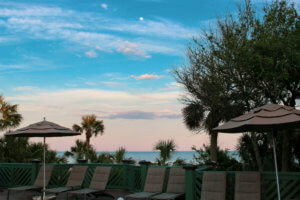 Just for your knowledge, there is no full service table dining at the Hilton Head Island Resort, only quick service. There is so many great places to dine at in the area though, that you will not really miss the table dining at the resort. 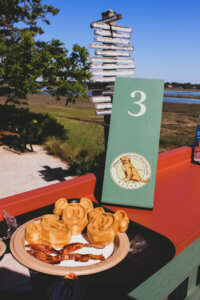 You can spend your mornings enjoying a cup of coffee and Mickey waffles with the most perfect view of the marshes. 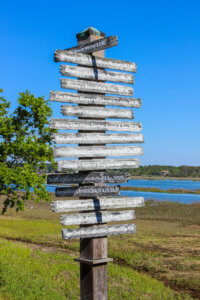 There is a small walkway that will lead you out to the middle of the marsh for those cannot-miss sunset views from the resort. The other part to the resort is the beach house which is located about 2 miles from the main property and where all the rooms are. The beach house has access to the beach, a large pool, and another quick service dining location. One of the magical Disney touches at the beach house is that they serve Dole Whips and Mickey Ice Cream Bars so you can soak in all of the nostalgia and deliciousness you can get at the parks! We mostly stayed up by the pool so we were close to the food and drinks at the quick service location. 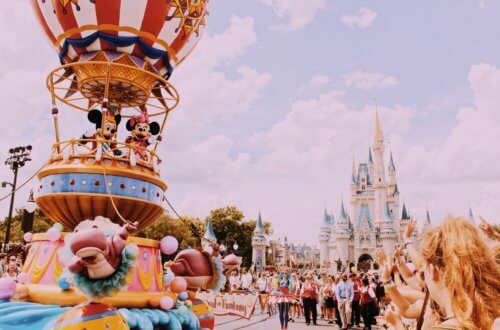 For activities and things to do while you are here, Disney provides you a full list of events that will happen during your stay when you check-in! You can meet the mascot of the property, Shadow, who is an actual dog that you can do meet and greets with. You can rent movies (for free! ), play board games, and join in on nightly campfires where you can join in on sing alongs, storytelling, and of course, smores! There are paid excursions you can participate in, btu there are also plenty of free events around the resort to keep you and your family entertained. 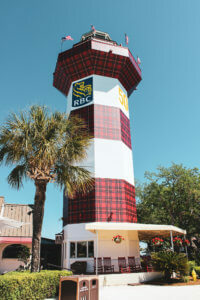 We spent some time exploring around Hilton Head Island! 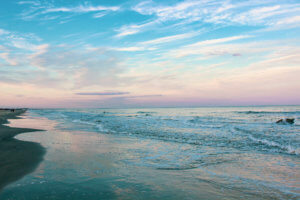 There is so much to do including tons of places to eat, shopping, visiting a lighthouse, and all the different water and beach activities available. Overall our trip was incredible. 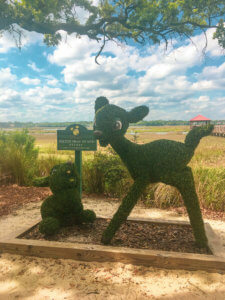 Disney’s Hilton Head Island Resort is the perfect place to get in touch with nature, unwind, and experience all the magic of Disney without the crowds and the tiredness from having full days at the park. 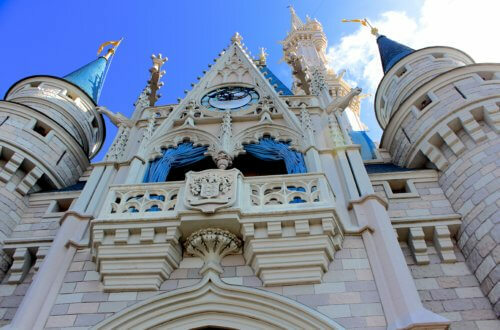 This resort is a must visit for any Disney lover out there. 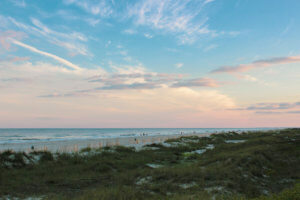 I am hoping to plan a trip back soon to this beautiful place!